In 2012, an US-agency called Massolution conducted the first global Crowdfunding Industry Report. In the report they defined that there are at least 4 different types of Crowdfunding. These types are now widely used in research and descriptions. Through the Internet this alternative form of finance became an open and transparent financing tool. Artistshare is known as the first Crowdfunding platform, starting in 2003 as a “fan-funding” website for musicians and artists in the USA. 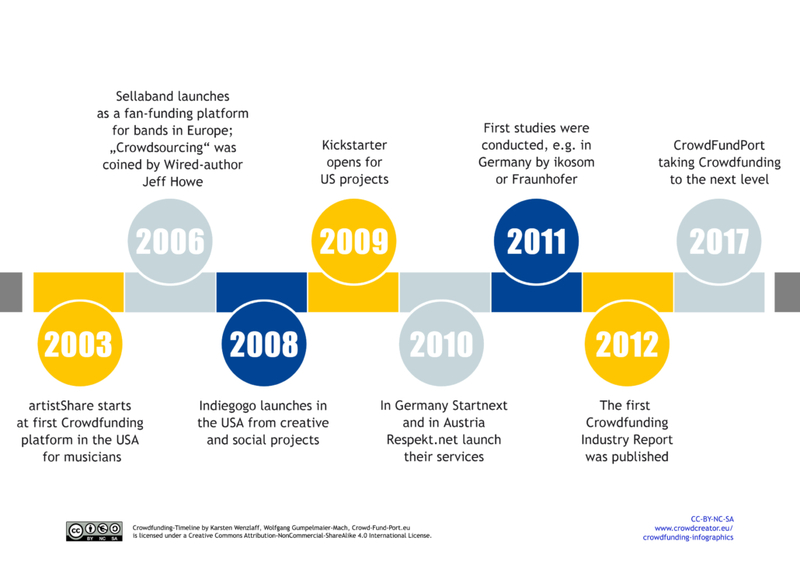 In 2006, Sellaband launched a similar platform in Europe, helping bands to communicate with their fans and getting financial support from them for recording new albums. Also in 2006, Wired-author Jeff Howe coined the word “Crowdsourcing”. In 2008 Indiegogo launched as an international platform for financing social and creative projects. Soon after that Kickstarter started its service. In many European countries, platforms opened which imitiated the user experience on Kickstarter and Indiegogo. In Germany, Startnext started with a similar concept in 2010, in Austria Respekt.net opened its platform for social projects from NGOs following a donation-based approach. 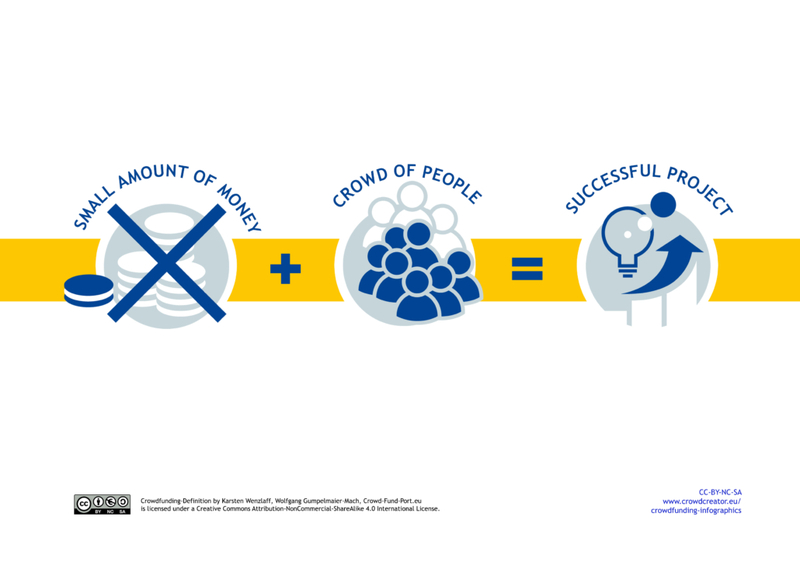 In 2011 the first studies on Crowdfunding were published in Central Europe, e.g. by the Fraunhofer Institute as well as one about Crowdfunding in Germany by ikosom. A year later the first international “Crowdfunding Industry Report” was published by US-company Massolution. The report analysed a few hundred platforms worldwide and gave a first picture of the industry. 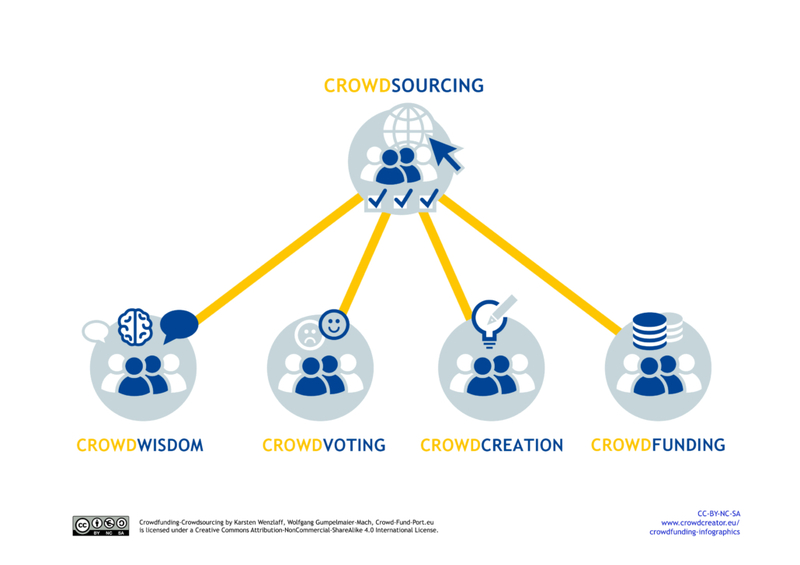 Also the differentiation between different types of Crowdfunding was published in this report. Since then, Crowdfunding exploded in Europe but also worldwide. To date there are more than 1,400 platforms online. 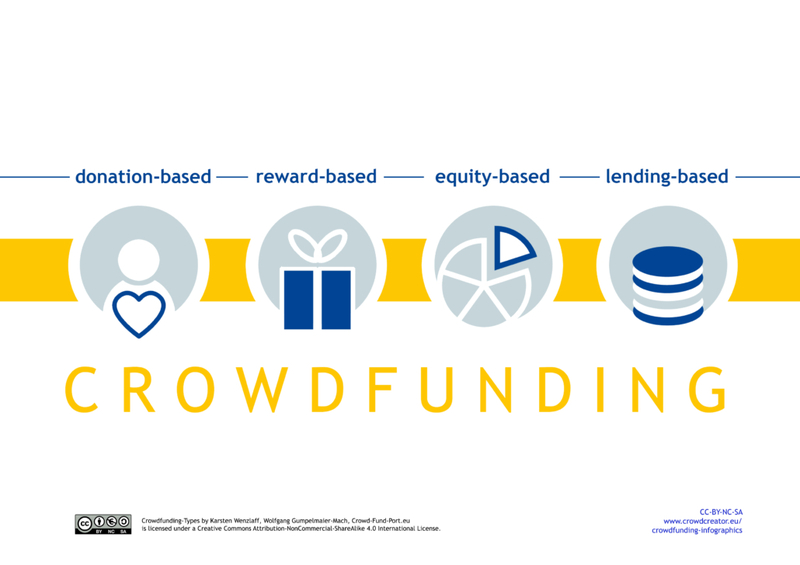 Crowdfunding is not only a financing tool, but also helps SMEs in many other ways. Although you communicate about your project all the time, be prepared that there will be some days without any interaction after the first peak. This period is sometimes called “The valley of tears”, as the graph of attention decreases after the first few days. This usually happens at reward-based AND equity-based Crowdfunding-campaigns likewise, although in equity-Crowdfunding the attention span mostly starts a bit earlier, because investors are informed a few days in advance about upcoming investment opportunities. The more you plan your campaign, the less lower the graph falls. But the most important thing is NOT to give up, when you see the valley of tears coming. Stay focussed and engaged! Continue to communicate, interact with people, tell everyone about your project and directly point them to your project-page and last but not least, deliver content and stories and – if necassary – improve your campaign with new rewards or further information etc. There are three phases: the pre-campaign phase, the campaign-phase itself and a post-campaigning-phase. 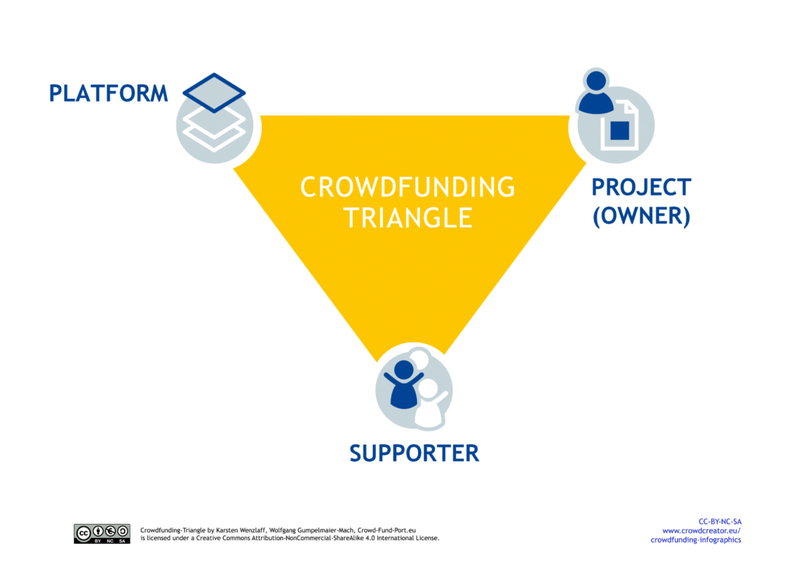 Most Crowdfunding Campaigns take place on platforms – the whole Crowdfunding process becomes a triangle of three parties: Platform, Project and Supporter. 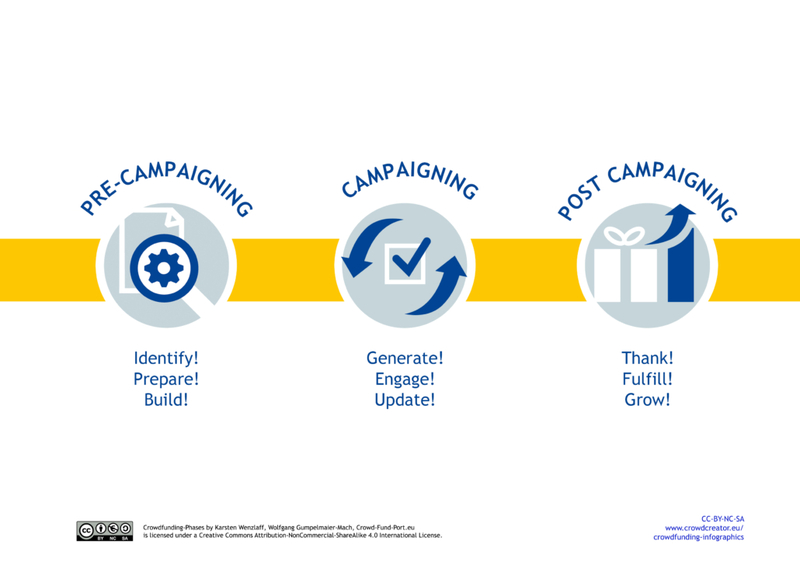 The Project Owner is in charge of preparing and executing the campaign. The project delivers texts, images, pitch videos and other communication material to the platform. Often the project owner is also responsible for editing the campaign site. 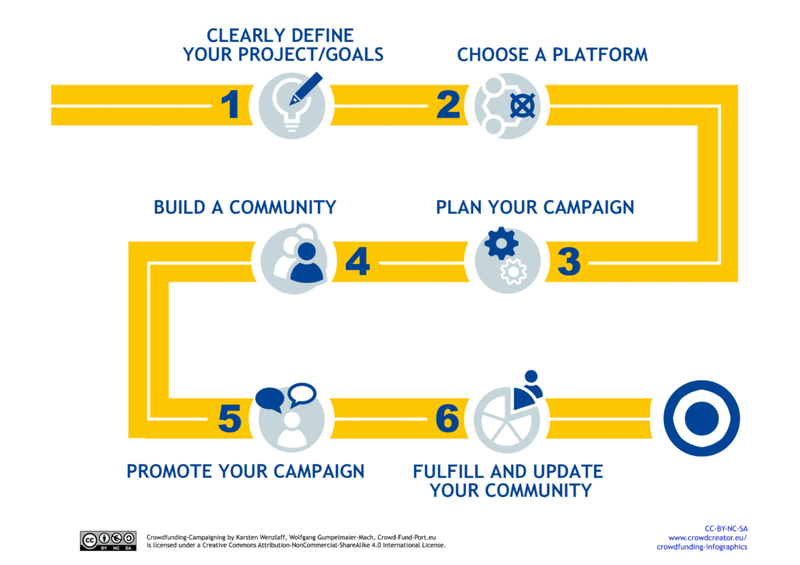 The platform acts as an intermediary between Project and Supporters. It facilitates the payments between Supporter and Project owner. The platform is also in charge in discovering payment fraud and disabling campaigns that commit fraud. To that end, the funds from the supporters are often kept in a special escrow account until the campaign has ended. The supporter enters an agreement with the project that it will transfer a certain amount of money via the platform to the project owner at the end of the campaign, given certain conditions (for instance in All-or-Nothing-Campaigns the reaching of the funding volume).